« It’s Earth Day. Time to get your compost on. After yogurt and butter, Chèvre (fancy for goat cheese), is the obvious next step in the home creamery. It’s simple and the results are impressive, elegant and delicious. All you need to start is a gallon (or less) of goat’s milk and an agent to transform it into cheese. This can be done in various ways. The most straightforward is to add lemon juice or vinegar to make it coagulate. More complicated recipes require a culture, rennet and a mesophilic starter, for a delicious mold-ripened cheese we will explore one day soon. For this kitchen experiment, I went middle of the road and used a culture I ordered from The New England Cheesemaking Supply Company. 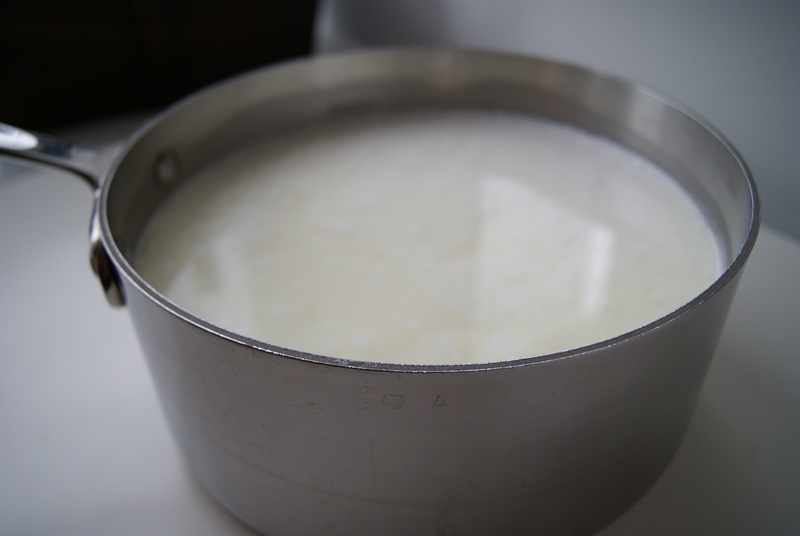 Heat one gallon of goat milk to 86° F. Sprinkle culture over the milk and let it hydrate for 1-3 minutes. Stir. Cover and let it sit for 6-12 hours (overnight is good). 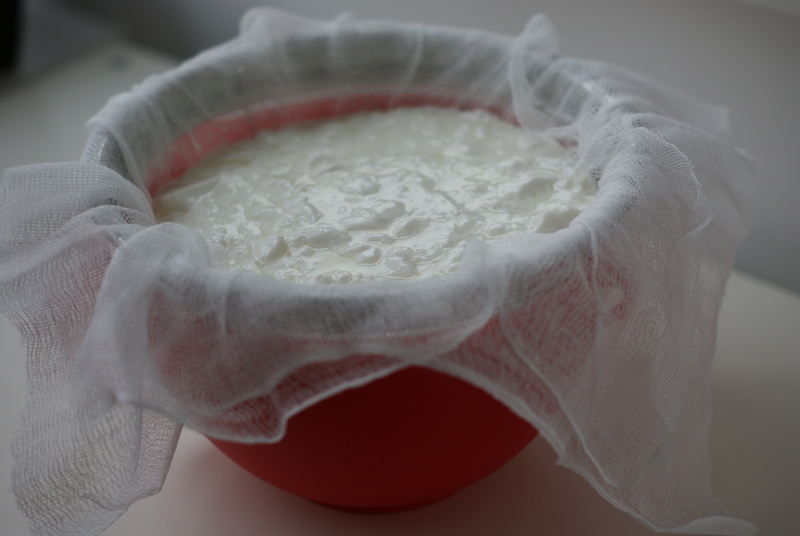 Once you have transferred all of your curds, gather up the cheesecloth to make a little bag. You can hang it over your sink or a soup pot, where it needs to sit for 6-12 hours depending on the consistency of cheese you are looking for. You can also use this technique with your yogurt to thicken it into yogurt cheese. Yum. Once your cheese reaches the desired consistency, you can either store it in a dish (if softer), shape it into balls, or use wax paper to roll it into a log. At this point, you can get creative and add herbs and spices (crushed pepper, paprika, chives, etc.). It will keep in the refrigerator for up to one week. Heat milk to 185°, stirring the milk frequently and hold at that temperature for 10 minutes. Remove milk from heat and allow it to cool to 100° (you can speed up this process by placing the saucepan in a cool water bath in the sink). Once the milk has cooled, slowly stir in 1/4 cup of the vinegar or lemon juice. 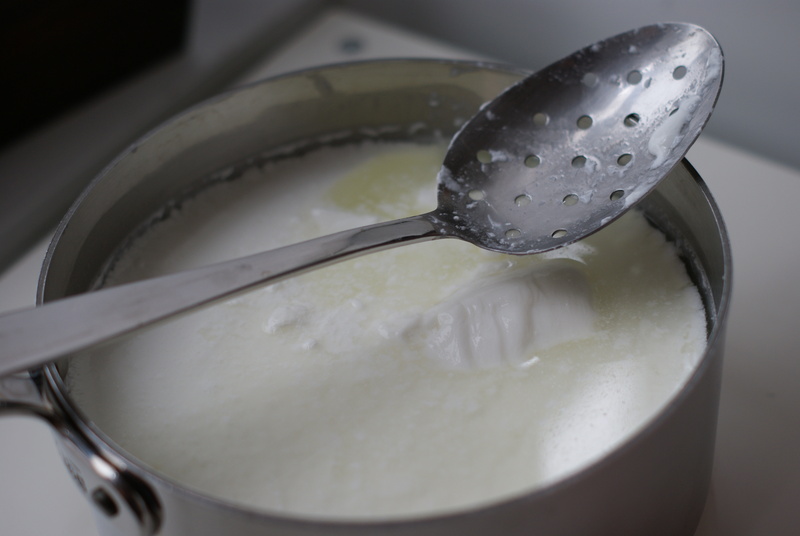 The milk should begin to coagulate with the curd appearing as little balls of cottage cheese as it separates from the whey. If this doesn’t occur, add another 1/4 cup of the vinegar (or lemon juice). 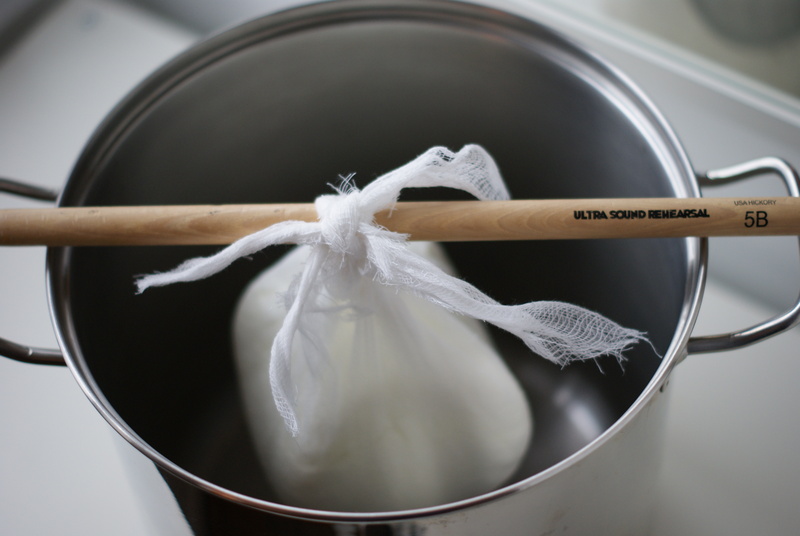 Once you have curds and whey, ladle into the cheesecloth, let it hang, and call your friends to come for cocktails. A note about thermometers: One cannot easily make any cheese or yogurt without the use of an accurate thermometer. I prefer this instant read digital thermometer – it’s inexpensive and gets the job done. This entry was posted on April 25, 2011, 12:23 pm and is filed under Dairy, Kitchen Alchemy. You can follow any responses to this entry through RSS 2.0. You can leave a response, or trackback from your own site. Thank you for this recipe! 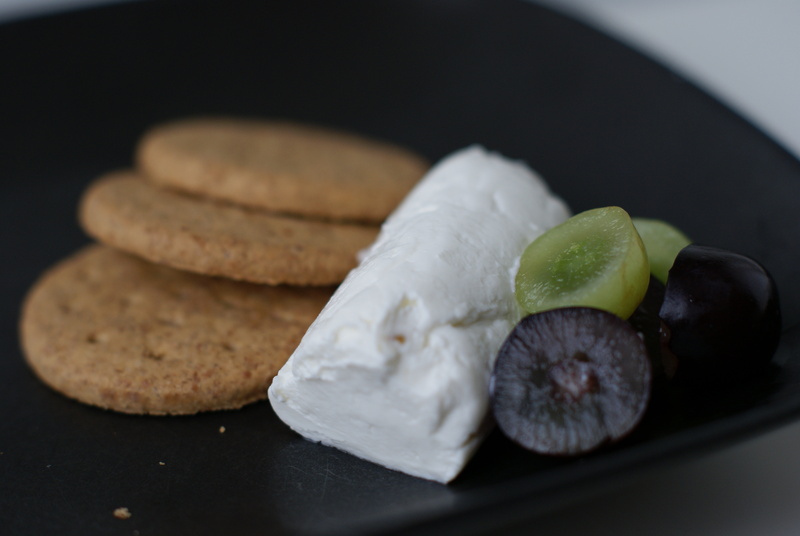 I looooooove goat cheese and I’ve been interested in trying a homemade version. Didn’t realize how easy it could potentially be. Can’t wait to try it! Can you make the second option without heating the milk? Well, just heating it to 100 F? Hmmmm, now to chase down some goats milk….been meaning to pick up some chevre from the grocery store but making it might be a cheaper and funner alternative.